VAM 40 - Doubled Ear Inside and Bottom is a pairing of Obverse Die 27 with Reverse Die a. We believe that essentially this is the same VAM as VAM 1H and that they need to be evaluated for duplication. 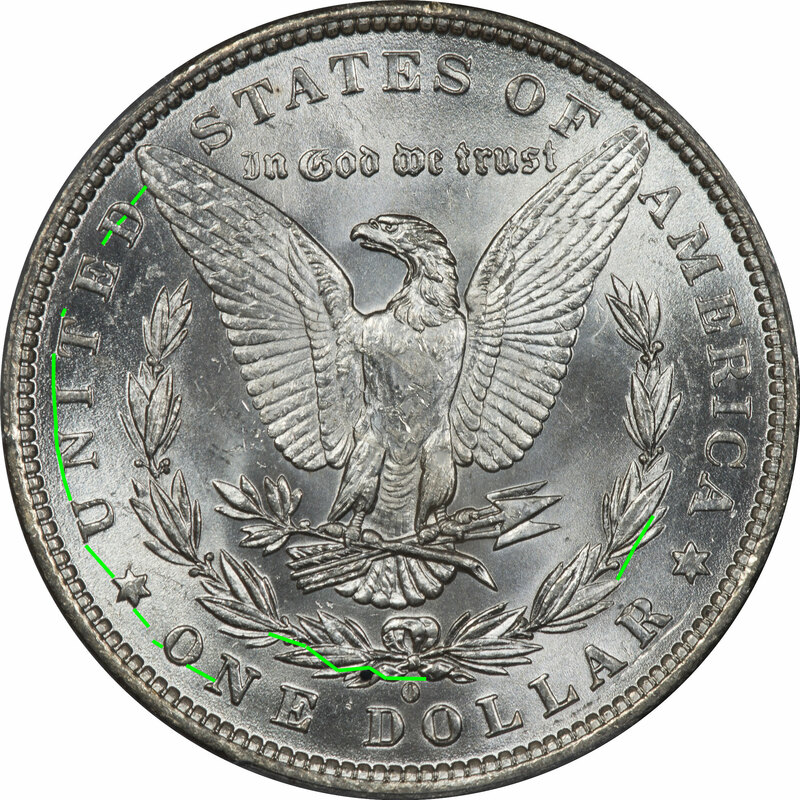 Both the obverse and reverse dies appear to be in the same die state and the same die. However, the obverse die has a little feature that many argue does not exist, but we believe are documented here. Just above Liberties headband we believe there are some doubled denticles. Since ejection impressions are often argued as denticle doubling and they are not, this is a totally different animal. This little feature appears on about half the coins we have classified as either VAM 1H or VAM 40 and may wind up being the distinguishing feature.